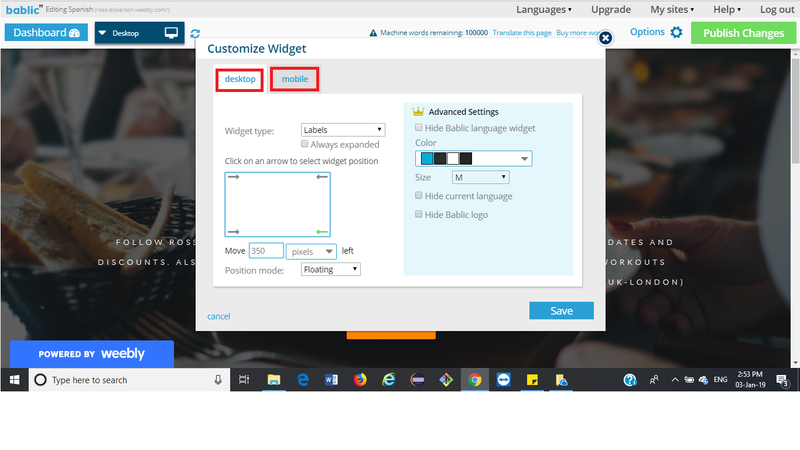 Bablic provides every website with a language selection widget that can be used to switch language on your website. This widget is fully customizable and can it appears in different versions, depending if the site is viewed on a desktop or a mobile device. What Screen Resolutions are considered "Mobile"
The answer to what is considered a mobile device is not absolute. Some touch devices are very big (they are called Phablets, a smartphone having a screen which is intermediate in size between that of a typical smartphone and a tablet computer) and there are also laptops with touch screens. Bablic considers a mobile device every touch device with width or height of 700 pixels or less. You can perform many more customizations using Bablic's JS API. All the options are explained in our Technical Documentation.